First line: "Ten years ago, on my sixth birthday, my father disappeared." I love the whole mythology behind faeries. Not the sweet, rainbow, cute, flower fairies that little girls go crazy for - the ancient, powerful, inhuman yet awesomely beautiful sort. 16-year-old Meghan Chase is haunted by the mysterious disappearance of her father when she was six. In the meantime, her mother has moved the family to a tiny town in Louisiana where they struggle to get by. Like any typical teenager, Meghan is obsessed with getting a car. Sounds like a pretty normal realistic fiction novel so far, right? Meghan's best friend's name was a huge giveaway that magical things are about to be afoot, at least, for anyone in the know: Robbie Goodfell. He's an inveterate prankster but always manages to look out for Meghan, giving her the nickname, "Princess." Meghan's crushing on quarterback Scott Waldron, who we are given to understand is a good-looking, big, dumb, lunk. Rob's impassioned pleas for Meghan to steer clear of him had me wondering if Rob had feelings for Meghan, despite being friend-zoned. There are a lot of classic themes here: Meghan's younger half-brother Ethan is kidnapped by fairies, who leave behind an evil proxy changeling in his place. She can't let this go, and is tireless in her efforts to rescue him. The older sister protecting her younger brother is common in Celtic lore. In traditional legends the fae have an aversion to iron, so the idea of having a faery rebel trying to build a powerful faction using iron and magic was a neat twist. The story really picks up when Meghan is finally in the faerie world and introduced to Prince Ash, a coldly seductive faerie, who may or may not have her best interests at heart. One of the most terrifying things about faeries, is that they just don't have the same agendas or goals as humans. Sometimes they may feel passionately about things and in the next moment they don't care at all. If I had to choose a "team" I'd be Team Robbie, all the way. The whole faerie world is so surreal, like a dream sequence - this book would make a visually stunning movie, for sure. There's a certain art to being able to end a book satisfyingly, while still leaving enough unresolved questions to merit more in the series, and Kagawa definitely delivers on that score. 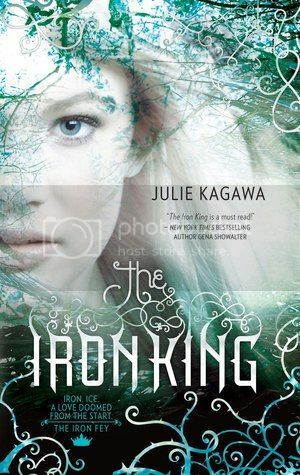 After a long time, i am seeing anything related to Iron king and this is such a great feeling I just got. Thank you for sharing such great articles about this movie.